Pack of products for a great price. You can combine any size of jersey, pants and socks. Women's cycling jersey Mirror Lady has a sophisticated style with loose hem. It is made of Micro + Mondrian that brings lightness and excellent ventilation capabilities. Full-zip half-sheltered design does not interfere with the graphics of jersey, on the back of one pocket is reflective zipper. For increased safety reflective elements are also on the front and back of the jersey. 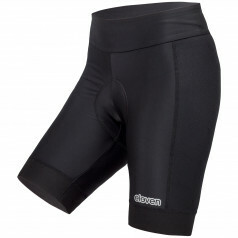 Cycling short pants in women anatomical fit use a combination of two materials VEGA and CEYLON for optimum performance. Antibacterial pad ACTIVE can be selected in the men's or women's version. On the front of the pants is reflective logo Eleven.